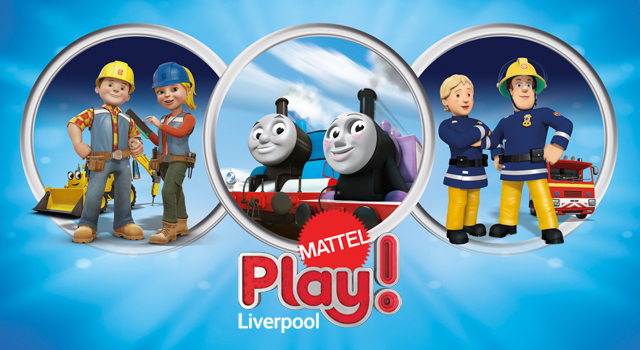 CQ2 were commissioned by Heritage Brand Ventures Ltd to work closely with the live events and attractions team at Mattel® on the brand identity for Mattel Play! Liverpool, the first family attraction of its kind in Europe. The brand new family entertainment centre invites children to explore and enjoy three themed zones featuring iconic characters and locations familiar to fans of Thomas & Friendsᵀᴹ, Bob the Builderᵀᴹ and Fireman Samᵀᴹ. Each zone offers its own individual feel and design filled with activities which allow children to get hands-on and experience what it’s like to play alongside their favourite Characters. Bespoke retail, catering & party merchandise. This exciting project follows hot on the heels of CQ2 having worked closely with Aardman Animations on their Shaun the Sheep installation at Land’s End and Rovio Entertainments Ltd on their Angry Birds Activity Park installation at Lightwater Valley Theme Park. Interested in seeing how CQ2 can drive your business forwards? Get in touch for an informal chat.